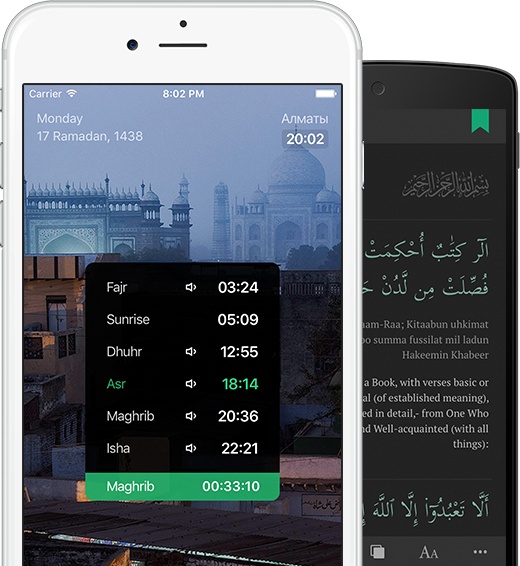 Muslim prayer times for Kazakhstan, Russia, Uzbekistan, Kyrgyzstan, Singapore, Turkey, Dagestan, Tatarstan, Chechnya and other countries with athan alarm, notifications and compass. Your wrist watch gets more helpful if you use SAJDA. Download the app, make your life easier. © 2012-2019 GoodApp. All rights reserved.